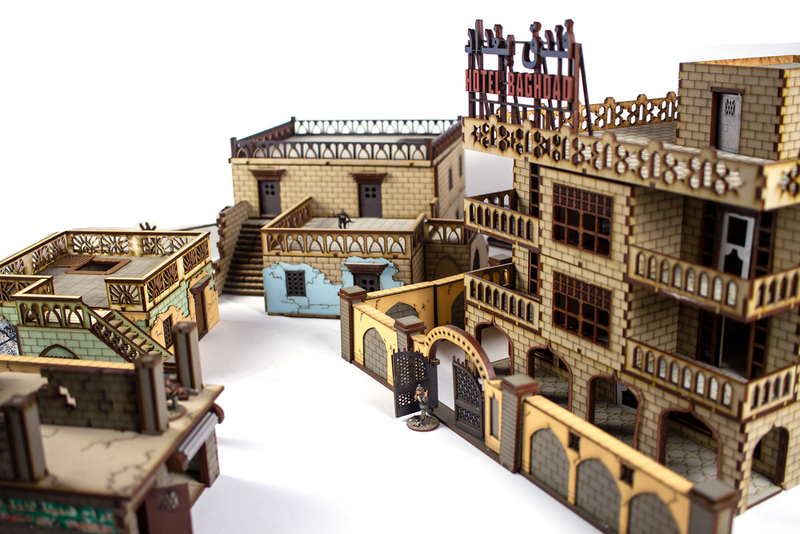 Black Site Studio recently put together a neat blog post where they looked back at how and why they brought the War Zone Arabia terrain sets to life in 28mm. The Blog Post goes through why they were inspired to start work on this range of terrain and the process that follows including building the 3D files and then expanding from there into production further down the line. The new range looks amazing, only recently having been released, and gives you a great maze to work through with your modern soldiers as well as perhaps Sci-Fi troops too. It's worth giving the blog post and Black Site a look as producers of terrain because you can never have too many options! Will you be looking up Black Site Studio? "Will you be looking up Black Site Studio?" We’ve had a lot of requests and you’ll be excited to hear we have agreed with our Friends at Black Site Studio to import and sell their kits on our store. This will initially be through a pre-order system which will launch next weekend for their modern kits that fit seamlessly with Spectre Miniatures and for Spectre: Operations. We are really excited by this opportunity as I am sure you all are too. If you aren’t familiar with Black Site Studio, you can see a selection of their exceptional pre painted laser cut kits here!